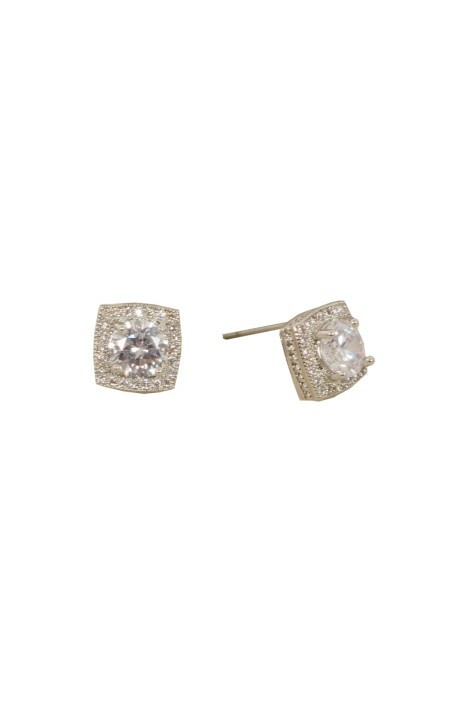 Amp up your look with these stunning earrings that add just the right amount of sparkle. Constructed out of silver polished metal, it features a cubic zirconia stone surrounded by intricate diamantes. A post back style, it’s easy and versatile to wear! Rent yours for a touch of glitter with a metallic gown, a super flirty mini dress, or a stunning all-white midi! Hire it with a matching statement bracelet, and check out our 'Cocktail Event Style Guide' blog post!